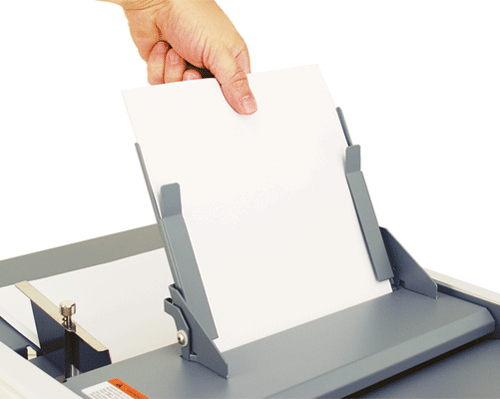 The FD 346 Document Folder is a fast, dependable and easy-to-use solution for virtually all folding applications. Its color touchscreen control panel features internationally-recognized symbols in place of text, making it easy for anyone to use. Six popular folds are clearly marked on the fold plates for quick set-up and operation, simply slide the fold stop to the desired fold and go. Additional adjustments can be made with the fine tuning knobs at the end of each fold plate for precision folding. 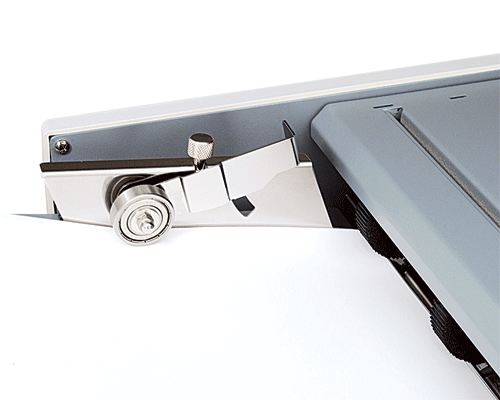 No need to stand and watch over this folder: operators can load up to 500 sheets in the hopper, select their fold, press start and walk away to attend to other important tasks. The FD 346 will fold the 500 sheets in no time at all and hold the folded pieces on its patented telescoping conveyor system until they are retrieved. The optional Multi-Sheet Feeder allows up to 4 stapled or unstapled sheets to be folded at one time through a dedicated feed system with its own side guides and skew adjustment system. 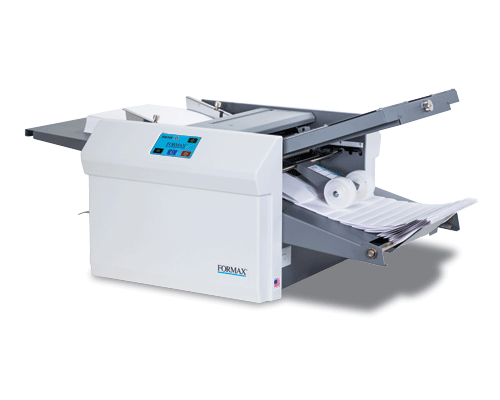 The FD 346 is capable of processing paper up to 18” in length and up to 12” in width giving it the flexibility to handle a variety of paper sizes. With its customizable jobs, operators can fold in virtually any configuration that requires only two folds. 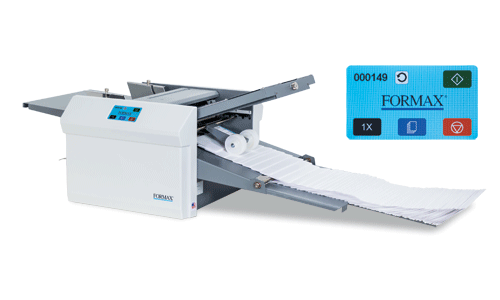 Cross folding adds to the FD 346’s flexibility allowing for additional folds in a second pass. 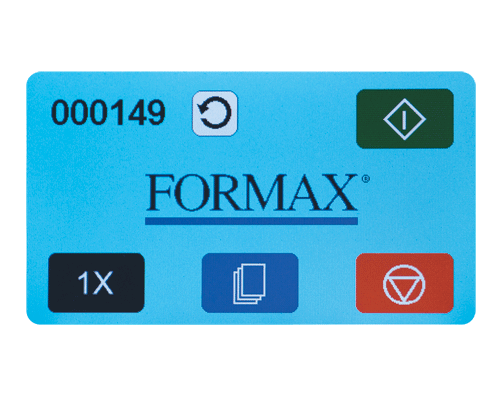 The innovative touchscreen, simple set-up and operation make the FD 346 an ideal solution for any church, school or small business that is cost conscious but requires the easy operation, versatility and dependability of a more expensive folder.